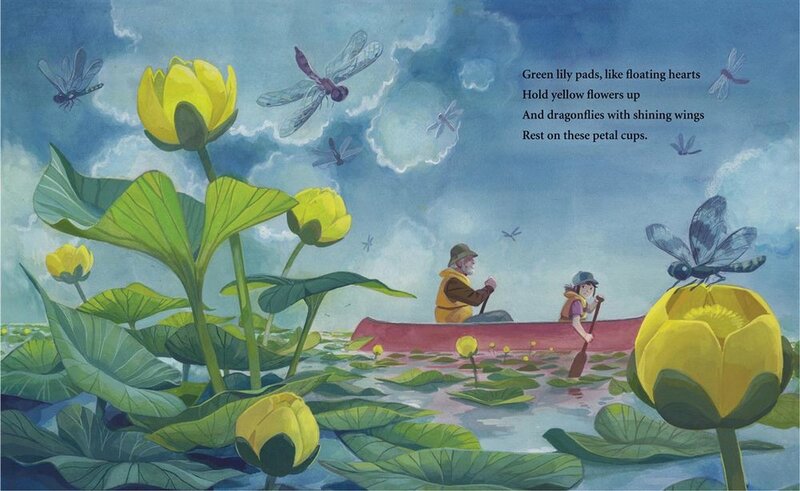 In the Red Canoe follows fish and herons, turtles and dragonflies, beaver lodges and lily pads as the child-narrator and her loving grandpa travel through nature. Baby ducklings ride their mama’s back; an osprey rises with a silver fish clutched in her talons; a loon cries in a star-flecked night. Rhythmic, rhyming quatrains carry the story forward in clean paddle strokes of evocative imagery. 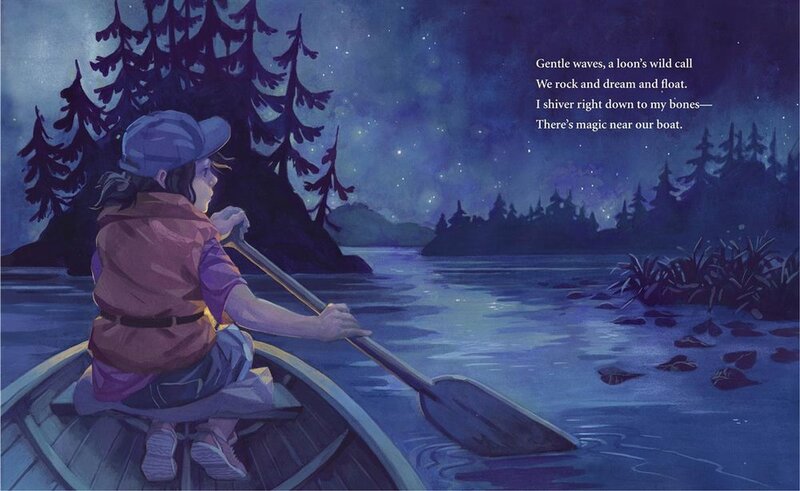 "A nice picture book with bold artwork and short verses in rhyme. Perfect for storytime. A clever way to introduce young children to animals and natural landscapes." "This book is a household favourite, loved by all (adults & kids). It is ESPECIALLY loved by my (almost) 3 year old son who wants to read it every day and every night and has also been used as a "calming tactic" when he is being especially "spirited" (aka: having a tantrum)." "A warm story of intergenerational companionship and nature's everyday delights." Enter your email address below to receive new post notifications. © 2011-2018 Leslie A. Davidson. All Rights Reserved.